At some point in the history of humanity, we began forming groups. In our earliest iterations, humans grouped together for survival: for gathering food, raising infants, crafting tools. It’s clear that functioning in these groups has become the core of the world we live in. We have extended families, networks of friends, colleagues, corporations and entire governments built upon the idea that we can accomplish more when we work together. But some of these groups work better than others. Friends split up, companies dissolve, nations collapse. So at some point we ask ourselves: what makes a group really work? A ubiquitous and accessible example of this conundrum is a college sports team. 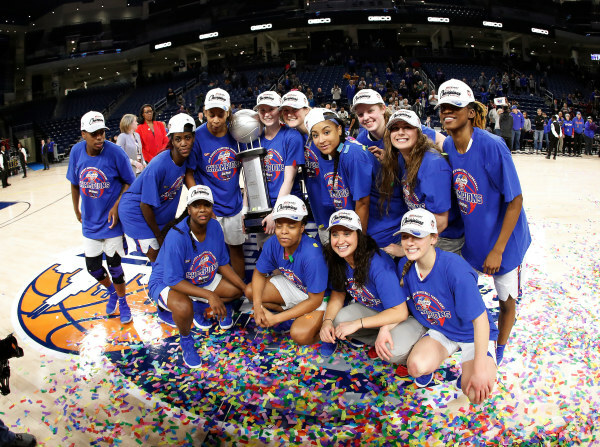 College athletes spend day-in and day-out together for months, all to achieve one common goal. So what wins that championship? What puts one team above another? “It starts with chemistry,” said Jaylen Butz. Butz, a rising sophomore, recalled winning a state championship with his high school basketball team, citing the bond within the team as a reason for their success. “You could have the most talented team, but at the end of the day if those guys don’t like each other or if everyone has their own ego, it’s hard to put it all together,” he said. This sentiment is shared by his teammate Eli Cain, a rising senior. However, the process for cultivating this chemistry doesn’t have a set formula. It takes time, energy and individual will to commit to that process. Both the men’s and women’s teams’ players said that it’s these hours spent together off the court that translates into success during the season. And although the bonding and closeness comes from within the team, Prochaska and Millender both said that there is a larger emphasis on teamwork and selflessness ingrained into the program by head coach Doug Bruno. This usually comes in the form of Insomnia Cookies, or, in the case of one teammate, bringing in venison jerky from Millender’s hometown in Southern Illinois. This sense of appreciation holds the team together throughout the trials and tribulations that come with each season. Not “pointing the finger,” or blaming individual mistakes for the outcome of a game, is part of maintaining this team bond, Millender said. Sticking together throughout these tests makes the season’s triumphs resonate that much more. Prochaska also attributes some of the team’s success to the support of the DePaul Athletic Department and the holistic approach to coaching by both Bruno and upper-level administrators. Prochaska said her support as well as that of the team stands amid recent criticisms of Ponsetto by fans and alumnus, including calling for her termination via a GoFundMe campaign this past March. Dealing with negative commentary from fans is another aspect of the collegiate athlete experience that can test the temperament of both the individual and the team as a whole. “It’s more about our control and what we can do, not the outside world. It doesn’t really matter what other people think,” Butz said. 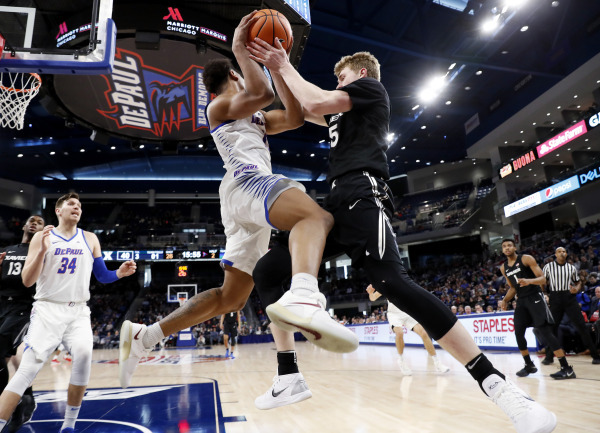 Particularly in relation to the men’s team, negative comments often stem from fans invoking the success of the DePaul basketball program in the ’80s under the guidance of venerated former Head Coach Ray Meyer, and drawing contrasts to the team’s more recent records. Fans expressing negative opinions on social media, in ways that are more accessible and pervasive than ever before, also situates college athletes in a frustrating predicament. However, being able to focus despite the sometimes discouraging messages from social media seems to be a key element to success of a college basketball team in today’s world. And as fans, it’s important to understand the limitations of an outside perspective into the inner workings of a Division I sports program. “When you’re sitting there watching a game that’s your experience: sitting there watching. You don’t know all that goes on behind the scenes, all the work that goes in, and the decisions that are made and conversations had,” Prochaska said. Twitter fandom, history and program politics aside, true success seems to lie in a particular sort of solidarity: this perfect harmony of willpower and strength on the part of individuals to not only work toward one common, tangible goal, but to do it together. To create a connection that transcends wins and losses, and lasts longer than any one season. To create a family.